The Kushner Cos. building at 666 Fifth Ave., which it purchased for a record $1.8 billion in 2006, had been $1.1 billion in the hole. 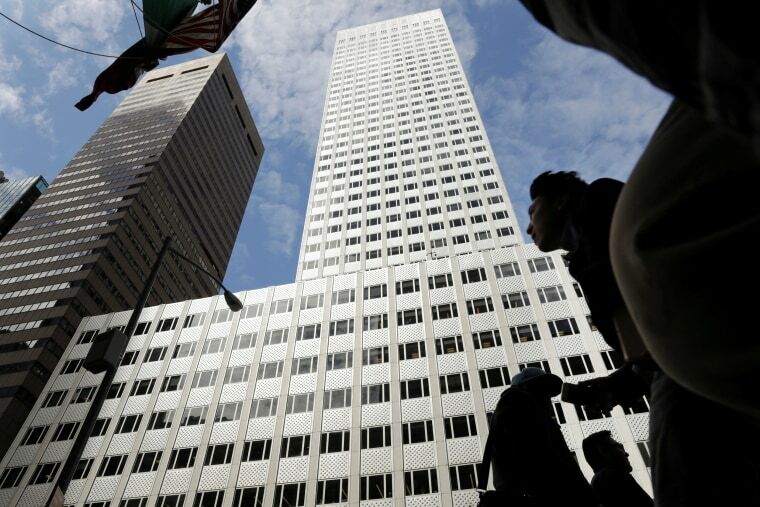 NEW YORK - Canada's Brookfield Asset Management said on Friday it acquired a 99-year lease on a flagship New York office tower controlled by the family of Jared Kushner, the son-in-law of U.S. President Donald Trump, capping a long saga to refinance the building. Toronto-based Brookfield said in a statement that its unit, Brookfield Properties, will operate the 1.5 million square foot building. It plans a major redevelopment of the tower, which occupies the west side of an entire block on Fifth Avenue, just north of St. Patrick's Cathedral. The tower has the potential to be one of New York's best-known and most successful office properties, Brookfield said, adding that it was "well placed to capitalize on the opportunity." Vornado said in a statement that it had completed the sale of its 49.5 stake in the tower's office portion to a Kushner affiliate and that net proceeds were about $120 million, an agreement it had announced in June. The existing mortgage loan was repaid too, it said. Vornado also said it would continue to own its portion of the building's prized retail frontage on Fifth Avenue, which it bought in 2012 for $707.8 million from the Carlyle Group. Kushner Companies said a year ago it was reassessing how to finance the tower's redevelopment after talks that had begun several years earlier failed. Jared, who is married to Trump's daughter Ivanka, sold his interests in the company to a family trust in 2017.